This Fall is the perfect time plan a weekend staycation or over night stay at the Grand Legacy at The Park. 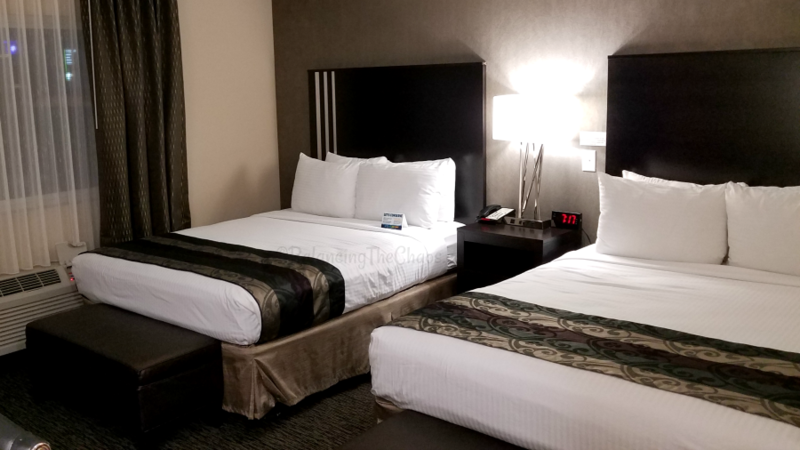 Centrally located in Orange County, The Grand Legacy is conveniently walking distance to local restaurants as well as Disneyland and Disney’s California Adventure. During the month of October, if you have plans to attend Mickey’s Trick or Treat Party, The Grand Legacy is a great addition to your evening itinerary for recuperating after the parks. 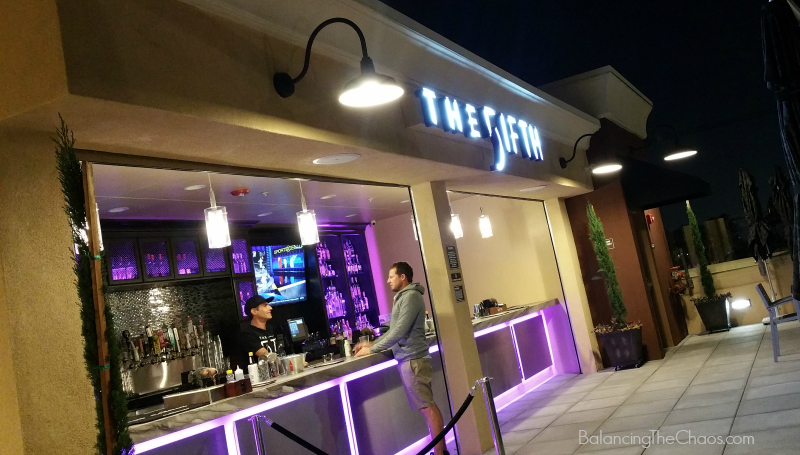 And atop The Grand Legacy, The Fifth is the only rooftop bar and lounge guests where guests can enjoy spectacular views of Disneyland Fireworks. We decided to surprise the kids with an over night stay as guests of the Grand Legacy at the Park. We have been so busy with school activities, sports and all of our responsibilities, I think we all needed an opportunity to slow down, unplug and just have fun as a family. An evening playing games, hanging out and just being together relaxing is exactly what we needed. Once settled in during our staycation, we decided to head out for a quick bite to eat. Right outside the lobby of the Grand Legacy Hotel is Jimboy’s Tacos, The Creamistry and a few additional restaurants within walking distance. 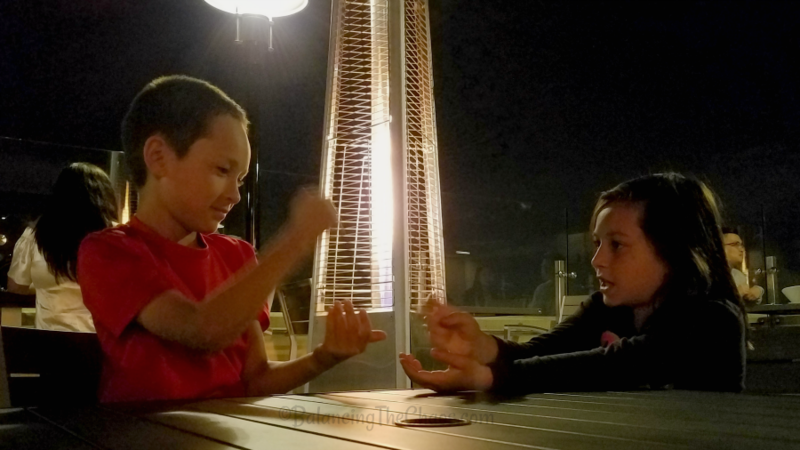 We hit up Jimboy’s Tacos because I had heard such great things about it, then decided to hang out with the kids at the only rooftop bar and lounge in Anaheim – The Fifth (The 5ifth). 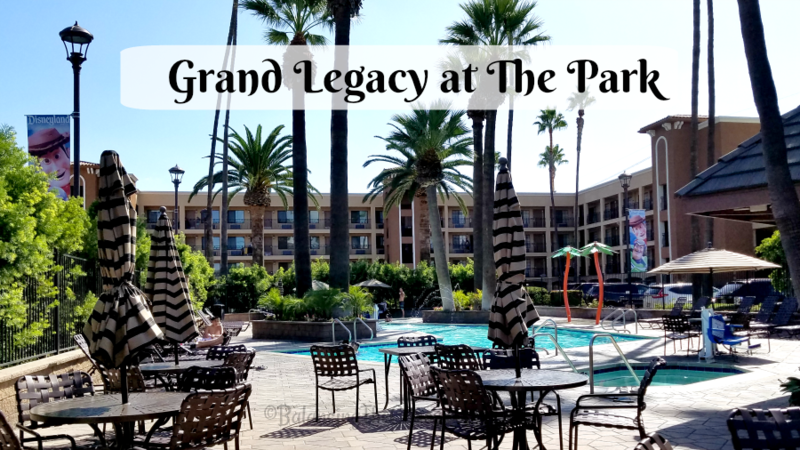 I mentioned Mickey’s Trick or Treat Party earlier – if you have tickets, I’d recommend hanging out at the Grand Legacy at the Park’s beautiful pool and splash area during the day. 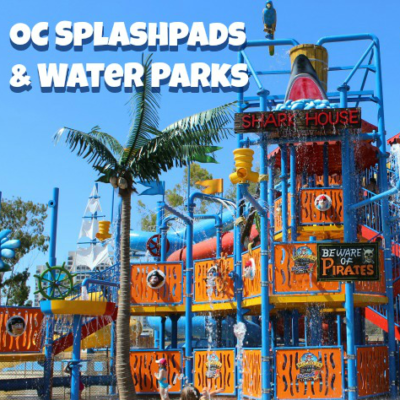 The kids would love their beach entry pool and shooting each other with the water cannons or swimming through the beautiful water archways in the pool. They are really worth option considering the budget and the quality of service they provide to their guests.